A March 25 Eleventh Circuit FCRA decision, Marchisio v. Carrington Mortgage Services, L.L.C., ___ F.3d ___, 2019 WL 1320522 (11th Cir. Mar. 25, 2019), is a must read. The Eleventh Circuit finds as a matter of law at the summary judgment stage that a furnisher’s “data conformity review” of a disputed debt is unreasonable in violation of the Fair Credit Reporting Act (FCRA). The Eleventh Circuit also overturns the trial court, and rules that the violation can be willful if reckless, that punitive damages may be recovered under the same standard, and that emotional distress damages are also recoverable even where the distress began prior to the FCRA violation. As a bonus, the Eleventh Circuit issued a pro-consumer interpretation of a state law’s bona fide error defense. Since the state law defense is worded identically to that in the Fair Debt Collection Practices Act (FDCPA), the ruling should have relevance to FDCPA cases as well. Marchisio adds to the growing body of FCRA law condemning furnishers for their widespread practice of engaging in a mere “data conformity” review of disputed information, rather than conducting the required reasonable investigation. 15 U.S.C. § 1681s-2(b)(1)(A) imposes a reasonable investigation standard, requiring a furnisher to perform as careful an inquiry as is necessary to resolve the merits of a consumer’s dispute. See NCLC’s Fair Credit Reporting § 6.10.4.2.2. In contrast, a “data conformity” inquiry occurs when the furnisher eschews a substantive investigation of the dispute and instead simply checks its own database that generated the challenged information to confirm that that database information is being faithfully reported to the consumer reporting agency. See NCLC’s Fair Credit Reporting § 6.10.4.3 (discussing how a “data conformity” review is the quintessential unreasonable investigation). In Marchisio, the Eleventh Circuit affirmed a decision on summary judgment holding a mortgage servicer/furnisher liable for both its negligent and its willful violation of the 15 U.S.C. § 1681s-2(b) reasonable investigation standard where the mortgage obligation that it persisted in reporting had been extinguished as part of not one but two different settlements. The first settlement was of an underlying foreclosure action years earlier. Despite this first settlement, the furnisher nevertheless continued to report the mortgage as past due and continued to try to collect the nonexistent debt, resulting in the consumers filing their first FCRA action. That first FCRA case ended with the furnisher paying $125,000 as part of a second settlement that expressly required the furnisher to correct its misreporting and to accurately report the account with a zero balance. Remarkably, the furnisher still continued to report the loan as delinquent—and with a $35,000 balloon payment owing—after both the first and second settlements because it did not properly enter the results of either settlement into its automated databases. The consumers disputed the false reporting anew, and the furnisher again verified the inaccurate information, despite the two existing settlements and the objective falsity of the information, as well as the clarity of the consumers’ dispute. [T]he Defendant’s system leaves it up to the ACDV-investigating employee to search out additional information from different departments as needed. While the investigator may have had the latitude to seek out additional information, the Defendant does not explain what existed to alert him to the need to do so. Nor does the Defendant explain how the ad hoc approach to settlement-related information can work in concert with the data entry-dependent and automated-driven ACDV process. The Defendant’s system created an unreasonable risk that an ACDV investigator would inadvertently parrot back to the CRA the same inaccurate information. 2016 WL 10568065, at *14 (S.D. Fla. Sept. 13, 2016). [T]he investigative employee ... didn’t make an error: he accurately reported what he found in the databases provided by his employer. The error can be laid at the feet of Defendant, which had failed to create a reliable system for inputting information regarding the settlement of litigation that might impact the data found on the relevant databases. Aware that whatever system it had to accomplish this was unreliable and aware that incorrect information concerning Plaintiffs’ loan balance was still being reported, it was incumbent on Defendant to take steps to ensure that news of the terms of the settlement agreement be communicated to those who generate reports to reporting agencies. Given Defendant’s decision not to take those steps, it was quite foreseeable that any investigation of the disputed information here would yield an incorrect conclusion by the employee-investigator. ___ F.3d ___, 2019 WL 1320522, at *7 (11th Cir. Mar. 25, 2019). The Eleventh Circuit succinctly captured the essence of the servicer’s attempt to comply with § 1681s-2(b)(1)(A) in its introductory summary of the case when it stated that the “Defendant purportedly investigated the dispute.” Id., at *1 (emphasis added). As suggested by this choice of language, this type of data conformity review is not just legally inadequate, but it is a sham exercise that necessarily ignores the actual dispute and therefore involves no investigation at all. And it is for that reason that entry of summary judgment was clearly warranted under the circumstances. Summary judgment on a § 1681s-2(b)(1)(A) reasonable investigation claim is typically denied for either party based on the truism that the reasonableness of the investigation is a question of fact for a jury’s determination. See NCLC’s Fair Credit Reporting § 6.10.4.4. The first case to grant a consumer summary judgment for a furnisher’s violation of the requirement to conduct a reasonable investigation did so because the evidence showed not merely a deficient investigation but the furnisher’s complete failure to investigate. Robertson v. J.C. Penney Co., 2008 WL 623397, at *8 (S.D. Miss. Mar. 4, 2008) (“There appears to have been no investigation of the disputed status of the claim at all”). Since then, district courts have also granted summary judgment for the consumer because the furnisher’s data conformity review failed to make any inquiry into the merits of the dispute and thus in effect constituted no investigation whatsoever. See, e.g., Wood v. Credit One Bank, 277 F. Supp. 3d 821 (E.D. Va. 2017) (granting summary judgment to identity theft victim; in response to six disputes “Credit One did nothing more than verify each time that Wood’s personal information on the ACDVs matched his personal information on the Account, and, three of the six times, Credit One merely compared that personal information to addresses associated with Wood on Accurint.”); Scharf v. Trans Union, L.L.C., 2015 WL 6387501 (E.D. Mich. Oct. 22, 2015), reconsideration denied, 2015 WL 7016331 (E.D. Mich. Nov. 12, 2015) (granting summary judgment to identity theft victim where the furnisher merely reviewed its file to determine whether the loan was in default). Now Marchisio has reinforced these rulings with a precedential opinion that establishes, as a matter of law, the liability of a furnisher who verifies inaccurate information after a consumer’s meritorious dispute without undertaking any actual substantive inquiry into its validity. Defendant’s actions—during an exceedingly long period of time in which Plaintiffs sought to have Defendant cease its false reporting of a debt that Defendant well knew Plaintiffs did not owe—entailed an unjustifiably high risk of harm that is either known or so obvious that it should be known. No other conclusion can be drawn given the number of times that Defendant was put on notice of the false information being reported, yet, each time failed to take steps to insure that its records accurately reflected the absence of any debt by Plaintiffs. ... Defendant made no correction nor any effort to insure that the pertinent databases revealed the existence of the settlement and the fact that no debt was owed by Plaintiffs. Meaning that when Plaintiffs took the predictable next step of disputing this debt with the credit reporting agencies, the outcome of the investigation by Defendant’s employee was also quite predictable: the employee would incorrectly verify the existence of a continuing debt. ___ F.3d ___, 2019 WL 1320522, at *7 (11th Cir. Mar. 25, 2019) (internal quotation and citation omitted). See NCLC’s Fair Credit Reporting § 12.5.3.2 for a detailed discussion of willfulness under the FCRA. The district court had dismissed the consumers’ claim for punitive damages even though it had found the furnisher culpable for its “reckless” conduct because, as the district court explained, its “finding of willfulness [was] not based on any intentional or purposeful misdeed by the Defendant that would support the award of punitive damages.” The Eleventh Circuit reversed that dismissal and remanded the case for a jury to consider punitive damages because the lower court had employed an incorrect standard at odds with Safeco’s ruling that “‘willful’ violations include reckless conduct.” See NCLC’s Fair Credit Reporting § 12.5.4 for a detailed discussion of the standard for FCRA punitive damages. “Thus, the ‘intentional or purposeful’ standard used by the district court does not comport with the Supreme Court’s definition of willfulness.” Marchisio, ___ F.3d ___, 2019 WL 1320522, at *9. In reaching this conclusion, the appellate court took the opportunity to clarify that the Safeco standard applies to all applications of willfulness under the FCRA, including the award of punitive damages, and to distinguish the obsolete contrary ruling in the Fifth Circuit’s opinion in Cousin v. Trans Union Corporation, 246 F.3d 359 (5th Cir. 2001), and other cases that were issued before Safeco and that employed the stricter standard for willfulness that Safeco rejected. Specifically, the district court concluded that any emotional distress suffered as a result of Defendant’s actions had begun before Defendant’s FCRA violation in November 2013. ... For sure, Plaintiffs had already experienced substantial stress as a result of Defendant’s actions taken prior to the erroneous re-verification of the non-existent debt. ... Yet, Plaintiffs correctly note that the district court did not evaluate whether Defendant’s subsequent FCRA violation “exacerbated again” their emotional distress. ... A fact finder might well conclude that Defendant’s FCRA violation caused Plaintiffs’ additional emotional distress, given Plaintiffs’ testimony that this new violation “added stress” and “made things much worse” and Mr. Marchisio’s health improvements before Defendant’s November 2013 violation. ___ F.3d ___, 2019 WL 1320522, at *8–9 (11th Cir. Mar. 25, 2019). The emotional distress discussion is naturally fact-specific, based as it is on the consumers’ own testimony that the later difficulties “triggered additional anxiety, rapid heartbeats, and marital distress.” Still, the holding that “Plaintiffs’ testimony raises genuine issues of material fact concerning emotional distress” will be helpful to litigants, particularly in the Eleventh Circuit, to counter defense arguments that the award of emotional distress damages requires a special quantum of proof or other special treatment. See NCLC’s Fair Credit Reporting § 12.5.2.3 for analysis of intangible FCRA actual damages. The Eleventh Circuit opinion contains an excellent discussion that applies the preventive procedures prong of the bona fide error (BFE) defense under the Florida debt collection statute and that is completely transferrable to the same BFE defense under the federal Fair Debt Collection Practices Act (FDCPA), since both use the same language. See NCLC’s Fair Debt Collection § 12.2.8 for discussion of the FDCPA bona fide error defense. Indeed, the opinion relies exclusively on federal FDCPA opinions to reverse the lower court’s grant of summary judgment to the defendant on the state law BFE defense. As occurs often under the FDCPA, the defendant here claimed to have in place a policy to prevent the violation, but the Eleventh Circuit found that merely articulating and adopting the policy was insufficient: “Defendant has not documented a regular and orderly process for enforcing its stated policy. ... Defendant does not explain how that policy is communicated or implemented, leaving for the jury to decide whether Defendant has procedures reasonably adapted to enforce that policy.” Marchisio v. Carrington Mortgage Services, L.L.C., ___ F.3d ___, 2019 WL 1320522, at *13 and n.8 (11th Cir. Mar. 25, 2019). While couched as a state law discussion, Marchisio’s treatment of the state law bona fide error defense will be helpful to FDCPA practitioners. 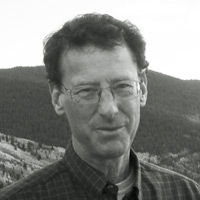 Richard Rubin, Of Counsel to Gupta Wessler PLLC, is a private attorney in Santa Fe, New Mexico whose practice is limited to representing consumers in federal appeals and consulting for other consumer rights specialists. He is a contributing author to NCLC’s Fair Credit Reporting and NCLC’s Fair Debt Collection. He is a chair emeritus of the National Association of Consumer Advocates, has taught consumer law at the University of New Mexico School of Law, and presents continuing legal education and attorney training programs throughout the country. He was the 2000 recipient of the Vern Countryman Consumer Law Award.